If you have ever passed through M.G. road, you know for a fact that you will find anything and everything on that street. 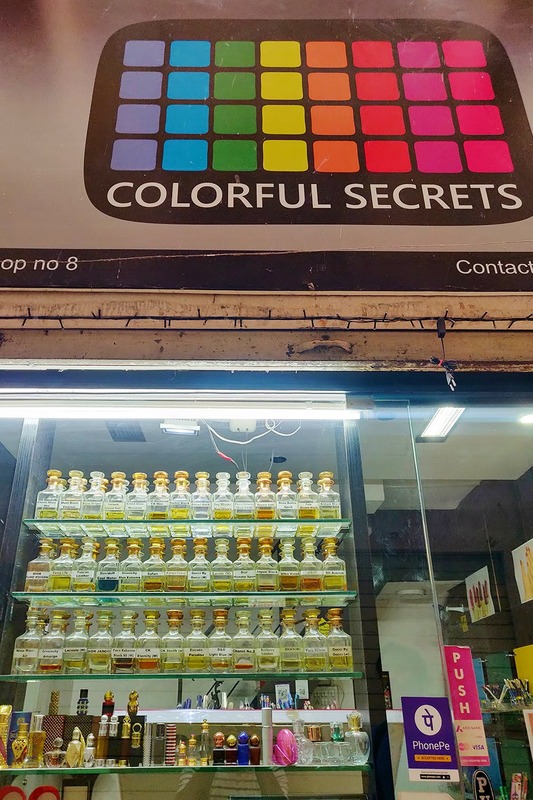 This time, we discovered Colourful Secrets, who make customised perfumes, deodorants and roll-ons starting from INR 150. Mr. Zoeb boasts about the quality of his everlasting fragrances and we couldn’t agree more. He tells us, that his perfumes contain nearly 20% of pure perfume extracts, which is the secret of their long lasting fragrances. At Colourful Secrets, a roll-on will cost you for INR 150 and lasts easily for around a month or to. On the other hand, If you want 30 ml, 40 ml or 60 ml, the price goes upwards from INR 450, depending upon the quantity and type of fragrance that you choose. The shop is situated inside of Raheja Midas space and you would have to keep your eyes open to find it. Colourful Secrets follows the M.G. Road rules and is shut on Mondays. If you want your favourite perfume refilled at cheaper costs, we suggest you bring the bottle along with you so these guys can have a clearer idea about what exactly you need.